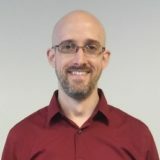 Brian Petrie joined PHI as a Research Associate in 2018. His role at PHI is working with the SNAP-Ed program and managing the PEARS evaluation database on behalf of the California Department of Social Services. Brian comes to PHI with a background in testing and assessment. Most recently he worked with the Department of Consumer Affairs (DCA) developing licensing examinations and conducting occupational research for professions licensed by the DCA. Brian has a Master’s degree in Industrial and Organizational Psychology from California State University, Sacramento. He earned his bachelor’s degree in Psychology from the University of California, Davis. The SNAC Toolkit is Here!